Day 10 of the 12DOD returns to celebrating the significant events of 2016 – the Beer Mile! To be honest, when Sarah first suggested doing it for her birthday, I had to Google it because I’d never heard of it before. Apparently you have to drink a beer, run a quarter mile, rinse and repeat 3 more times. And if you don’t keep the beer down, you have to run another lap. Or something like that. So here’s the problem: 1) I don’t drink beer. 2) I don’t run. The two requirements of the beer mile. But it sure as hell wasn’t going to stop me from participating! 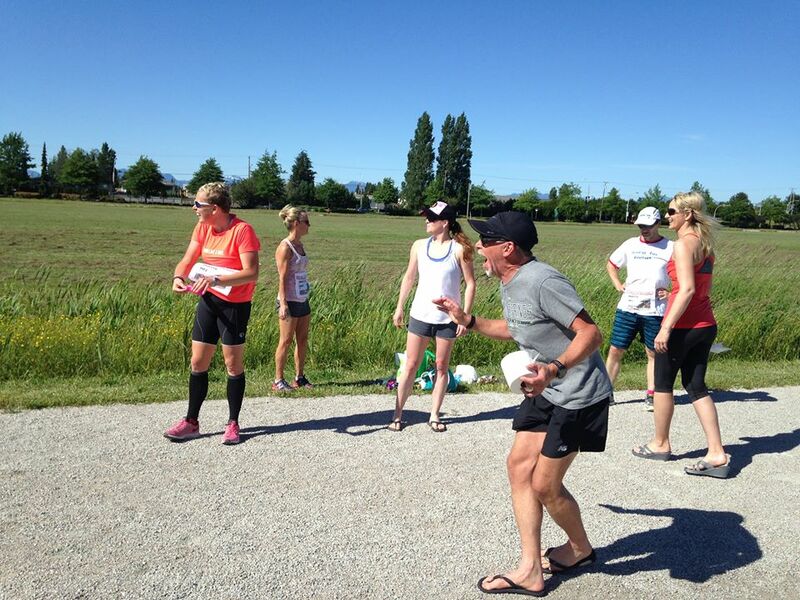 The event took place at the old horse track in Ladner. I’m going by memory which is probably a bad idea, but participating were Sarah, Joel, Eric, Dianne, Sarah’s sister, brother in law, and cheering us on were Malcolm (Sarah’s running coach), Tammi, Daniel, Sarah’s mom and dad, and a couple other ladies who I probably shouldn’t mention but let’s just say they were keeping us safe Sarah’s dad designed and printed race bibs for all the participants! That will be the first and last time I wear a race bib BTW. I’m not even sure who won. I think I was still on the other side of the track so I really couldn’t tell you. I do know that we didn’t come close to the current record holder’s time of 4:34!! Shocking… he’s British… further proving Joel’s theory that you don’t need to be a runner – you just need to be a drinker. 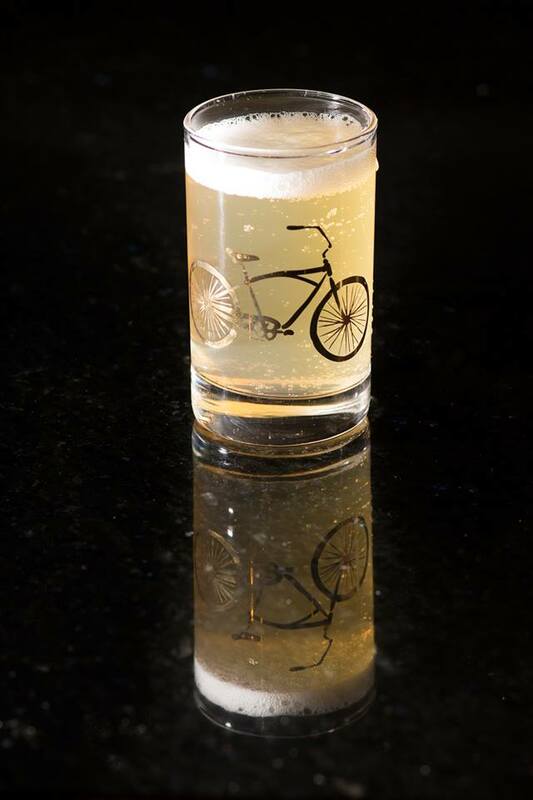 The term Radler originates with a drink called Radlermass (literal translation “cyclist litre”) that was originally created by Innkeeper Franz Kugler in a small town named Deisenhofen, just outside Munich. During the great cycling boom of the Roaring Twenties, Kugler created a bicycle trail from Munich, through the woods, which led directly to his drinking establishment. On a beautiful June day in 1922, a reported “13,000 cyclists” crashed Kugler’s party. Fast running out of beer, he blended it 50/50 with a lemon soda he could never seem to get rid of, and so the radler was born. So tonight’s drink presents a much more drinkable radler made with a light Sleeman’s beer (thank you to whoever left this last week at our party! ), lemonade, organic lavender lemonade soda (made in the SodaStream), and grapefruit bitters. I think I’ve found my drink for the 2nd annual Beer Mile Extravaganza!